Please find copied below a communication from BSI about the webinar earlier this week where we introduced ISO Management Systems standard 30401 – Knowledge Management, with a request to pass it on to other interested parties. Thank you for your interest in our Unlocking the value of knowledge – Introduction to BSI ISO 30401 Webinar. You can download the presented material below. Please feel free to pass these along to colleagues who may be interested. We hope that you find it interesting and helpful in understanding the new standard. We look forward to welcoming you to other insightful discussions in the future. BS ISO 30401 will be published soon and you can follow the project status here. The British Standards Institution (BSI, a company incorporated by Royal Charter), performs the National Standards Body activity (NSB) in the UK. BSI, together with other BSI Group Companies, also offers a broad portfolio of business solutions other than the NSB activity that help businesses worldwide to improve results through Standards-based best practice (such as certification, self-assessment tools, software, product testing, information products and training). The ISO KM standard is due for publication in September. Here’s the latest news, and what to expect when the standard is finally ready. The international committee at work on the standard this week. 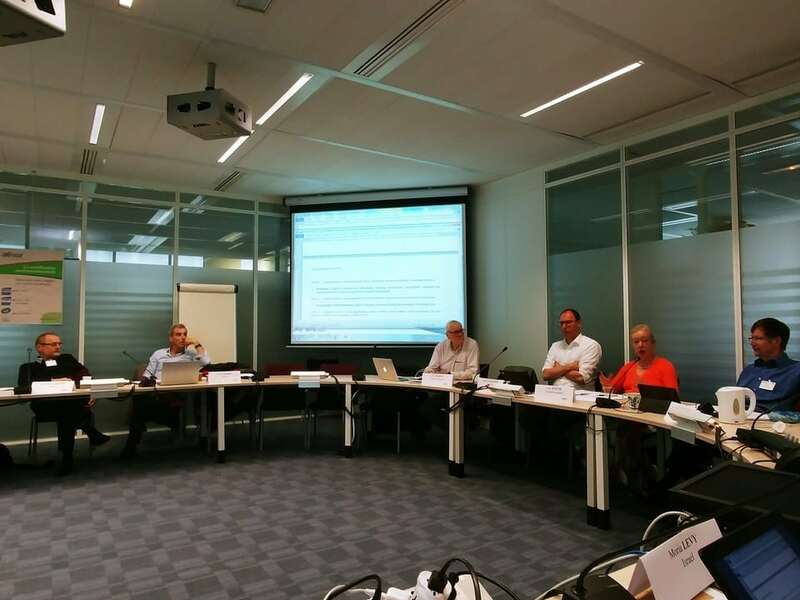 This week, in Paris, the ISO working group finished work on the final draft of ISO Management Systems standard. Here are some facts about the standard, a description of its development, and a discussion of some of the benefits. First of all, some reassuring words about ISO standards in general and the KM standard in particular. The standard will not try to tell you how to do KM. This would be crazy – every organisation has to do KM in a way that suits their purpose, objective and context. What the standard does is makes sure you have set up a good management system, to provide solid foundations on which to build your KM solution. The standard is not just for big companies. We have tried to make it flexible enough work for organisations of all types and of all sizes. The standard will not require you to be externally audited. It’s primarily for your own guidance, with internal audit as a good practice if you so choose. Only a small proportion of the ISO standards are regularly audited using external auditors, and 90% of audit work is against only 5 standards (9001, 14001, 18001, 27001, 45001); the other 22131 standards mostly never get audited. There would need to be a reason for external audit,for a KM standard and then a set of accredited auditors willing to do the work, and I can’t see either of these being viable for KM, which is relatively niche when compared to topics such as health, safety and quality. 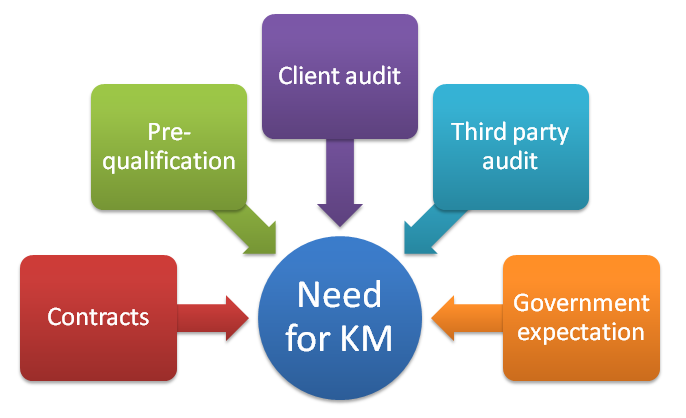 The KM standard will be an aid for self-audit and self-examination rather than a requirement for accreditation. The standard will not take ages to implement. There are 49 uses of the word “shall” in the standard, each of which marks a requirement, but many of those are sub-requirements to a larger requirement. There are maybe 25 or 30 things you need to be able to demonstrate in order to comply with the standard, and the chances are you do most or all of these already. The standard does not mandate how you implement KM. Top-down, bottom-up, middle-in-out, guerrilla KM, agile KM, or KM as a change program – implement it as you see fit and at your own risk. The standard describes requirements for the final product, not how you get there. 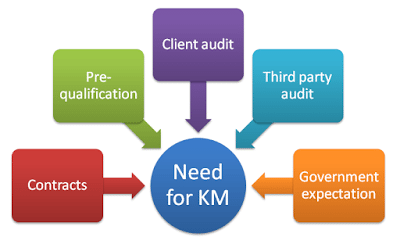 The KM standard will look very much like other ISO standards. That’s because all the ISO management systems standards use the same structure and much of the same text. You can see the mandatory generic text here. The introduction and annexes are unique to the KM standard, but these do not contain any requirements, but are instead explanatory. Work on the standard started in 2015 and was conducted by an international committee supported by mirror committees in the main involved countries. Several sessions through 2016 and 2017 created a draft version of the standard, which was judged in late 2017 to be ready enough to open for public comment. You can buy a copy of this draft standard here. It will cost you 58 Swiss francs. The draft was made available for public review and comment over a 6 week period in Dec 2017 and Jan 2018. Hundreds of comments were received. The British site alone received about 350 comments – some of them one-liners pointing out spelling mistakes, others suggesting rewordings for entire sections. Many of the comments gave alternative views on the same points, and needed to be balanced and reconciled; others suggested alterations to the mandatory text which ISO requires to be used. The British working group went through each comment, identifying 270 suggestions to be referred on to the international committee. 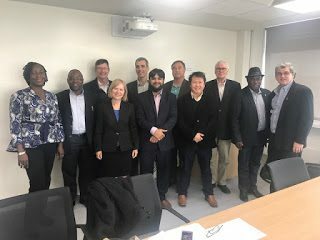 This week the committee reviewed the referred comments from all 15 contributing countries – 420 comments in all – and discussed each one, making edits to the text as appropriate. We finished the job, and the standard now goes to ISO for proof-reading and for translation into French, German and Russian. We expect it to be ready for purchase in September, if all goes well. It gives KM legitimacy as a profession. Several people said their management often look at KM as “not a real management discipline”. Now it’s real enough to have its own KM standard. It gives the Knowledge Managers leverage in their organisation. You can say to your management “if we don’t do X, Y and Z our KM won’t be compliant with the ISO standard”. It can be used in bidding for work. If you are bidding based on your organisational expertise, it might be useful to say “Our KM approach is compliant with ISO standard 30401” (provided your internal audit shows this to be the case, of course). And naturally it provides a benchmark for your KM management system; a yardstick for you to measure against, and a guide for those organisations who are newcomers to KM to stop them falling into the common pitfalls. The video webinar below is from Judy Payne, one of my co-members on the committee to develop the new ISO KM standard. Judy delivered this last week for the Association of Project Managers, and explains the history of the standard, the thinking behind it, and some of the key messages it carries. After a couple of years of development, the ISO KM standard (ISO 30401) is now open for discussion of the first committee draft. You can buy a copy of the draft standard from the ISO site for 58 swiss francs, or your own national standards body may allow you to view and comment on the standard online. The British site for review and comment is here, for example (you will need to register). You have until January 16 to comment, after which the comments will be reviewed by the national standards bodies and passed on to the working group for ISO 30401 for review and revision. I have just spent a really interesting couple of days on the working team for the ISO KM standard, and one of the most interesting things was the diversity of emphasis among the KM practitioners. It was not a diversity of overall view – we all shared the same view of KM, its components and the principles on which it was built – but it was a diversity of emphasis on the importance of various components. You know the story of the blind people and the elephant, each intepreting the animal in different ways. The person holding a leg says “The Elephant is a sort of tree,” the one holding the ear thinks it’s a sheet, the tail holder says it is a snake. I have worked on Knowledge Management for a long time and I thought I knew what the KM Elephant looks like, but it struck me in the detailed discussions with other experts that maybe I was looking at the Elephant out of proportion. This came to a head when we were discussing KM Culture. “Culture is everything in KM” was one view. “If you don’t have the culture in place, then nothing else can happen. It’s the most important thing”. “Culture is an output” was the other view. “If you have the right processes and procedures in place, then the right culture will happen. Processes and procedures are the most important thing”. We had similar discussions about processes, and about technology infrastructure. How could we have such different views? We all saw each of the KM components as vital, but each person seemed to choose different elements as “primary”. We were not blind to the topic – we could all see the whole KM Elephant, we could see it had 4 legs and a tail and a trunk – but different people favoured different legs, seeing them as a “primary” leg; more important than the other legs. It was only through long and animated discussion and dialogue – through active listening and sharing with each other – that we began to synthesise these diverse views, and paint a balanced picture of the elephant as a whole. It was a really interesting few days and a valuable learning experience for me. Thats a bit like saying “The Elephant is all about the tail”. “The trunk is the new Elephant”. Knowledge Management is holistic – it is all about People AND Processes AND Technology AND Governance AND culture AND change etc etc. All of these things are important. The key is to get them in the correct proportion. Thank you to the ISO team members for helping me see the proportions a little better. Given the two trends above, we have been approached by service companies that wanted to demonstrate to clients that they were competent operators, and part of that would be to demonstrate a good KM system, because “our customers will expect us to do KM”. A problem to date, for all of these forces, is that there is no consistent definition of what Knowledge Management actually is. Therefore companies and government departments have had to work out for themselves (often with Knoco’s support and help) what to do to comply with these external requirements. This will change once the ISO KM standard is published (hopefully in 2018), when all that these external bodies will need to do is say “you must demonstrate compliance with the ISO standard”.